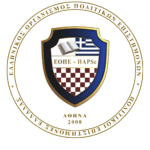 In the existing field are listed books of HAPSc executives which have presented at scientific conferences in Greece. In the following publications Hellenic Association of Political Scientists refers to the originators. HAPSc, Aggeli, M.,Gkoka, S., Tasiopoulos, S., Anagnostopoulou, E., Sidiropoulos, S., Asproulis, D. Mitsi, X. (2014) «THE UPCOMING CONSTITUTIONAL REVISION: Problems of the Greek Constitution and the Recommended Solutions from the legal and political scientists of HAPSc», Book from the 1st Panhellenic Conference of Young People for the Parliamentarianism and the Democracy, 20 – 22 December of 2013, Publications The Greek Parliament, Athens. Available here (in greek).